Patrick Carver rides shotgun in the tattered bucket seat of his father’s faded-purple Jeep Cherokee. For Russell “Rusty” Carver, this is father-son bonding time. His boy goes everywhere with him. The 18-year-old is wearing a charcoal gray beanie, a light blue button down and a Kodak-moment smile—the same outfit he’s worn the past six years. It's not Patrick riding co-pilot with his dad, but his ashes in a cherry-wood urn. 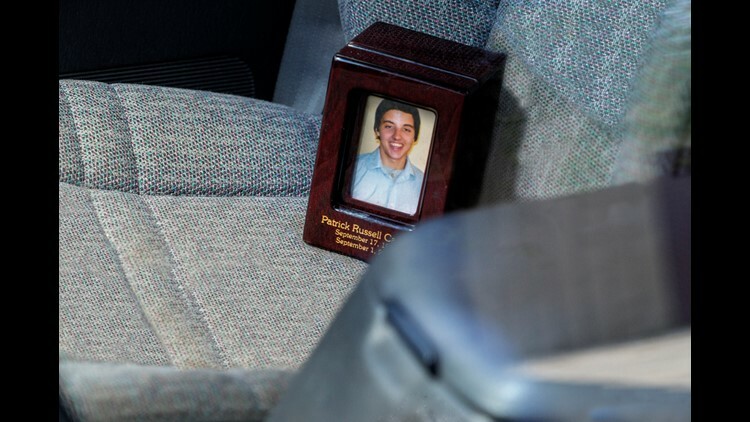 Rusty Carver, Patrick&#39;s father, sits in his Jeep with his son&#39;s ashes in the passenger seat. Six years ago, Patrick was murdered inside the doorway of his family home. The memory of his son lying face down in his own blood sticks with the dead boy’s father. There are still questions: Who killed Patrick? Why? Was it a random act of violence or did he know his killer? Rusty continues to search for those answers. As do a group of Patrick’s closest friends, who gather every September in front of his home on Houston’s southeast side. They wear R.I.P. Patrick shirts and release balloons to remember their loyal and giving friend. They still cling to the hope that one day they’ll receive closure. Anthony Alvier, Patrick’s friend since middle school, kneels on the front lawn, whispers and crosses himself before looking up to the sky. In pictures, Patrick was an innocent young boy, blowing out birthday candles and suiting up for little league football, like his big brother Donnie. Always a ham for the camera, he smiled cheesy grins at family gatherings. His little sister Ann attended the same school and still remembers that day she was called to the principal’s office. She had no clue why. “I’m freaking out as I’m walking there,” she said. As she walked into the office, she saw her aunt, who told her Patrick was murdered. Ann fell to her knees. Rusty said he had the same feelings. He called the moment he found his son dead a “vicious loop” that constantly plays in his head. Patrick&#39;s urn reads: Patrick Russell Carver, September 17, 1997, September 1, 2010. The loop has repeated for the last 2,346 days. In his League City apartment, Rusty opens his laptop to a message he wrote to Patrick. Rusty created an online memorial site filled with family photos and poignant passages written by loved ones. He still posts as a way to talk to his son. Initially, those closest to Patrick were hopeful for answers. But they had no idea Patrick’s case was assigned to an investigator who would come under investigation himself for sloppy police work. 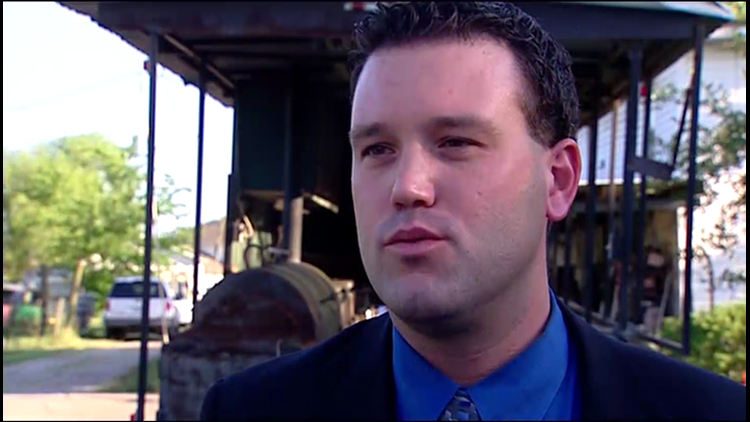 Ryan Chandler joined the Houston Police Department in 2000. The son of a former Houston police captain, Chandler was an eight-year veteran of the homicide division. HPD Sgt. Ryan Chandler was fired for mishandling a number of homicide investigations. When it came to Patrick’s murder, Rusty said there were issues with the homicide investigator from the beginning. Rusty said Chandler asked him to walk through the home to see if anything was missing or out of place. Patrick’s room, Rusty noticed, was ransacked, as if someone was looking for something. Rusty said the intruders left the bag behind. So did the homicide detectives. Rusty figured the bag could potentially be solid evidence filled with fingerprints, so he called Chandler. He tried to contact them again, but got no response. Two of Patrick’s best friends from middle school, Daniel Soto and Travis Nino, also had doubts early on about Chandler. “There has to be one goddamn fingerprint in that house,” Soto said. The morning after the murder, Nino said he walked under the crime tape to take a look for himself at the scene inside. The first thing he saw was a big footprint. “To me, that’s a lot of evidence right there,” Nino said. When he called to ask about the footprint, he said Chandler told him they were following some leads and hung up. Chandler mishandled 20 homicide cases, according to Houston police disciplinary records, leaving victims’ families with no closure. All of the murders occurred in marginalized neighborhoods, and all but one of the victims was a minority. In October 2009, Chandler failed to go to a crime scene, despite a uniform patrol officer observing a trail of blood. In April 2012, a Honduran immigrant was gunned down in his driveway while trying to help his pregnant wife out of his truck. Chandler failed to provide any supplement that investigation for 18 months. In August 2012, a 1-year-old was fatally shot while sitting in a car. Chandler didn’t submit witness statements or other information gathered from the scene until he was already under investigation. Map prepared by January Advisors. After Chandler transferred out of homicide in 2013, a supervisor spotted several red flags with his cases. An internal investigation later revealed Chandler's shoddy police work in those muffed cases. He became the center of a department scandal. In 2014, former Houston Chief of Police Charles McClelland indefinitely suspended Chandler, outlining his poor performance in a 12-page letter. Chandler appealed the suspension, claiming his heavy caseload caused him to fall behind. After analyzing 52 of Chandler's delinquent cases, a sergeant determined 14 had only minimal follow up and the bulk of the work had been done by other investigators on another 11. Seven cases had no documentation of any activity within one to two years of the case. During hearings, the Houston Police Department called more than a dozen witnesses in support of Chandler’s termination. In January 2015, a hearing examiner ruled that HPD had just cause for firing the sergeant. Chandler’s misconduct, the examiner wrote, embarrassed the department. She first fell for him in September 2007. Jessica Ovando shared late-night phone calls with Patrick and weekend road trips to Galveston, away from the stresses of school and teenage drama. So it was obvious to Ovando when Patrick changed. Patrick with his girlfriend Jess in Galveston. Over the next two years, his parents divorced on their wedding anniversary. Rusty lost his IT job and began having an online relationship with a 16-year-old girl from Michigan. Patrick was hurt by all of it. His friends, like Travis Nino, said Rusty made no attempts to hide the romance. Patrick tried to get a job to help his family as bills piled up, but he didn’t have a car. Instead, Rusty bought a car for the teenager from Michigan. By March 2011, Rusty was arrested for online solicitation with a minor. The charge was later dismissed. He maintains Patrick never expressed any outrage over his escapades, but Ovando said it made Patrick angry. Their relationship continued to falter and escalated into arguments and fights that sometimes ended with black eyes. 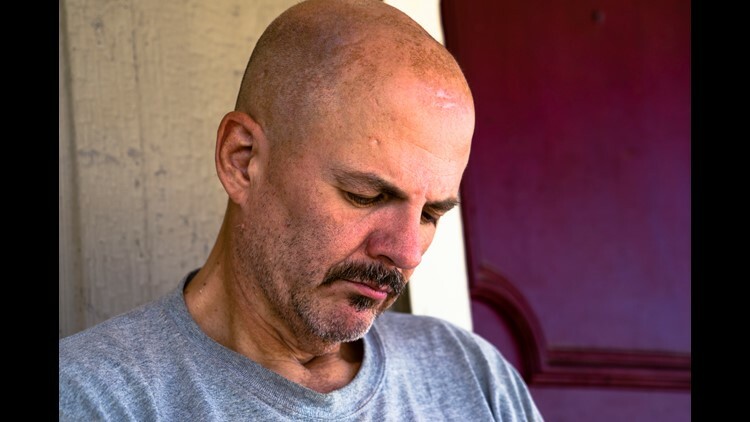 On the day Patrick was murdered, Rusty no longer lived at the family’s southeast Houston home because he could no longer afford the bills, spending what little money he had on his teenage fling. Patrick, however, was still sleeping there. With bills and a mortgage seriously past due, the Carver family home was crumbling—and so was Patrick himself. Patrick began selling drugs to try and save the house. The way Patrick was murdered led many to believe the suspect or suspects were someone he knew, possibly from a drug deal gone bad. Several copies of house keys were passed between friends and acquaintances who dropped by the house. Patrick’s body was found lying just a few feet inside the front door, which was unlocked. There was no forced entry. No broken windows. Blood smeared the white walls. “Somebody had to know Pat was in there,” longtime friend Anthony Alvier said. 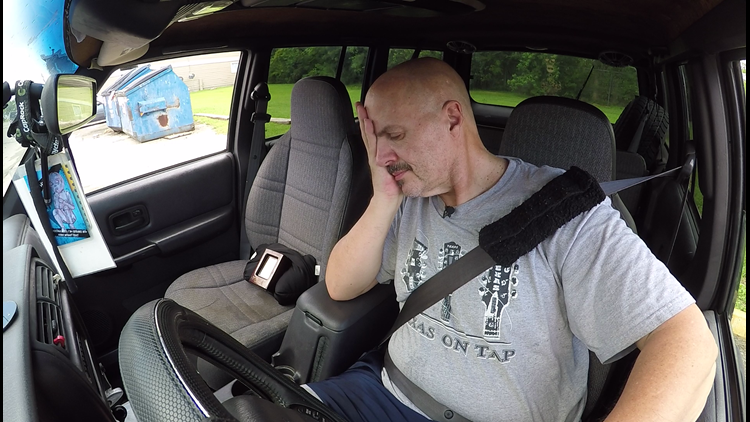 Over the years, Rusty has come to grips with the possibility that his son was dealing drugs. But was it the mistake that cost him his life? After the Ryan Chandler scandal broke and tarnished the image of the Houston Police Department, new detectives were assigned to all of his cases. They have since cleared 15 of the 20 botched cases through arrest, charges or other circumstances. Patrick’s file wound up on the desk of Sgt. Fil Waters after Ryan Chandler’s laziness. Waters is a hard-nosed, tough-talking detective with more than 22 years in HPD’s homicide division. He claims to have obtained confessions in 88 percent of his cases. Due to the pending status of Patrick’s case, he declined to be interviewed for this story. Waters centered his investigation on one suspect: Rusty. The grieving father was stunned and confused. Why him? In their first meeting, Rusty said Waters rolled his chair toward him and got in his face. “(He was) aggressively telling me, ‘I’m the voice of God. I’m seeking justice for Patrick. I’m going to solve this case, and you’re guilty and you just need to confess,’” Rusty said. According to Rusty, Waters claimed Rusty was angry at his son for staying in the home, and that he used a motorcycle helmet to bludgeon his son to death. Rusty vehemently denies the detective’s theory. Family and friends still have their doubts. Ovando said she struggles with the possibility that Patrick could have died at the hands of his own father. 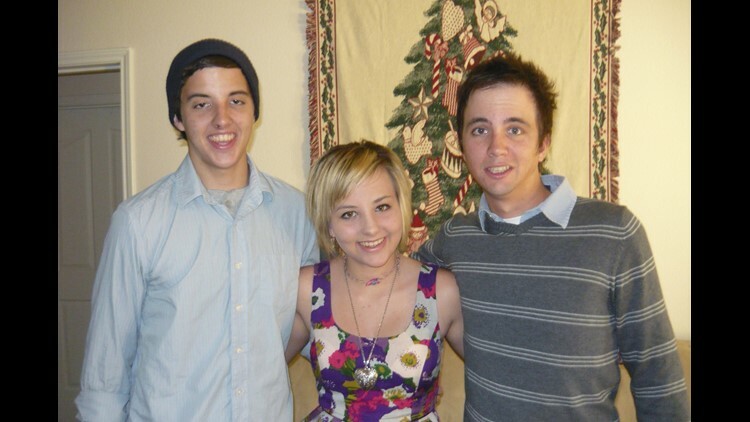 Patrick Carver (left) with his sister Ann (middle) and brother Donnie (right). But the one most lost is Patrick’s little sister. Sources confirm that the police investigation was completed and forwarded to the Harris County District Attorney’s Office in February 2016, with Rusty named as the prime suspect. Prosecutors have yet to present the case to a grand jury to determine if charges should be filed. Six years after Patrick’s murder, Rusty stares down at his laptop at a photo of his lost son. “Some day, we will all know the truth,” he said. It’s been more than six years since Patrick Carver was found murdered in his southeast Houston home, leaving his family and friends with the tragic pain of losing a loved one and with questions that have no answers. If you have any information about the murder, please email us so we can help get justice for Patrick.